Do not get out of your vehicle if you are driving during a hailstorm. If you can pull over to the side of the road, do so safely. Park your car on an angle so that the hail hits the front of your car, since your windshield in made of reinforced glass, whereas the side and rear windows are not. In a severe storm, position your back to the windows inside your vehicle and lie down. Then, cover yourself with a blanket from your roadside emergency supply kit. This will protect you in the event that the hail breaks any of your car windows. If your car suffered damage to any of the windows, remove broken glass immediately to avoid injuries. Generally, your comprehensive auto policy will pay for the damages caused by severe weather and natural disasters. Before leaving the shop, make sure that you are fully satisfied with the repairs made to your vehicle. Check for any remaining dents and obtain a written guarantee of their services. Your safety is most important in our book! 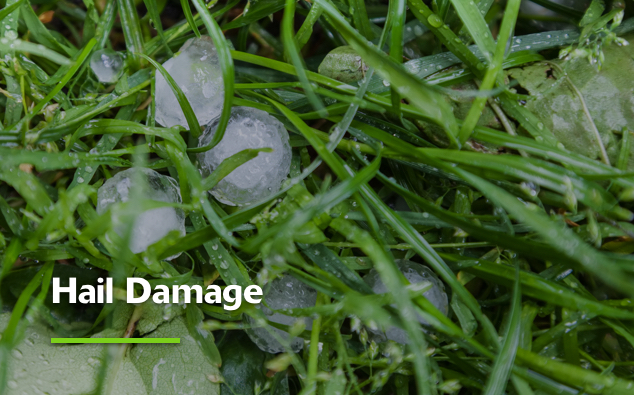 If there is a major hailstorm in your area, do not leave the comfort of your home or work to cover your car with blankets or move it to a covered location. You may suffer injuries while trying to protect your vehicle. Your safety is priceless; your vehicle’s safety is not. April 1, 2019 in Insurance News.